Check out Properly’s new video! 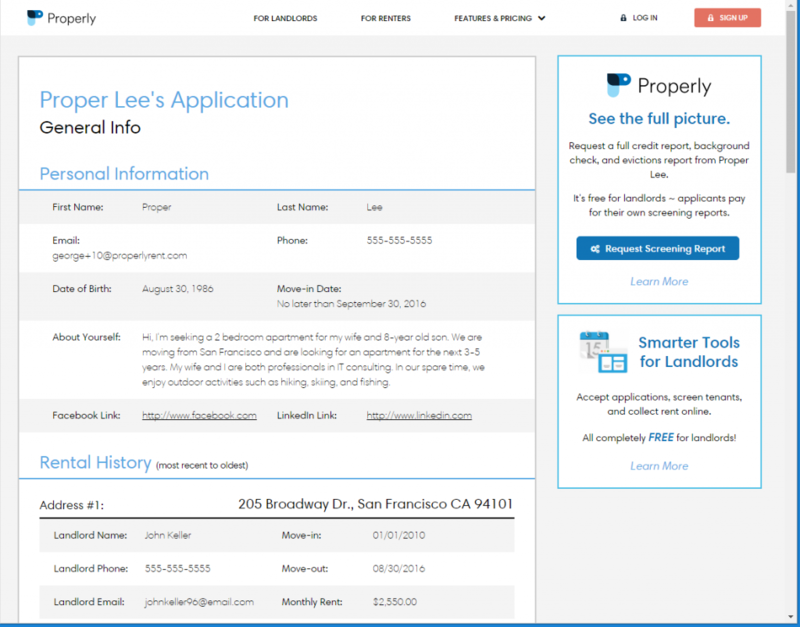 Properly is a smarter rental platform for do-it-yourself landlords and renters offering online payments, beautiful listings, real-time credit and background reports, reusable applications, and more. Properly was covered in The Huffington Post! Here is the direct link to the article. Many thanks to Carol Ruth Weber (http://www.weberlifedesign.com/) for the fantastic cover! Properly is a startup vision grown out of the frustration that comes with renting for both tenants and landlords. Three men who all faced their own exasperation’s when it came to renting, combined their thoughts to invent a way to help others rent smarter and easier. 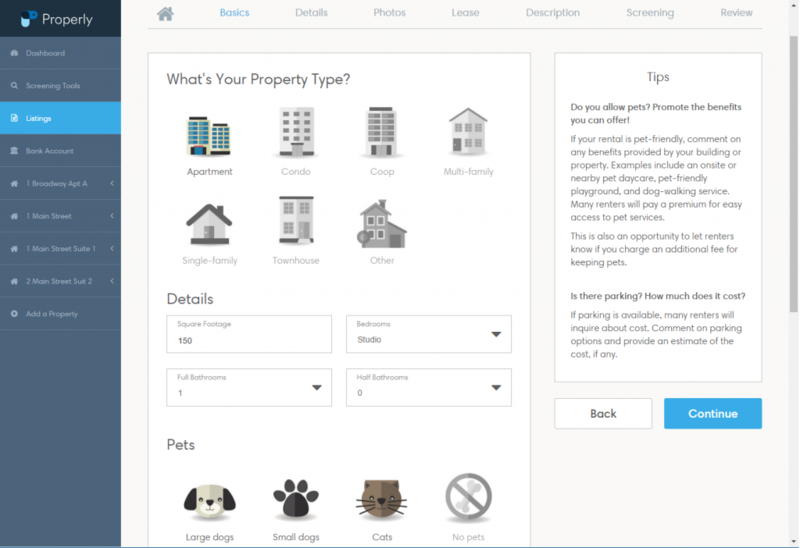 The free Properly website devised to be accessed from all devices was born to assist in easing the renting process for both landlords and renters. 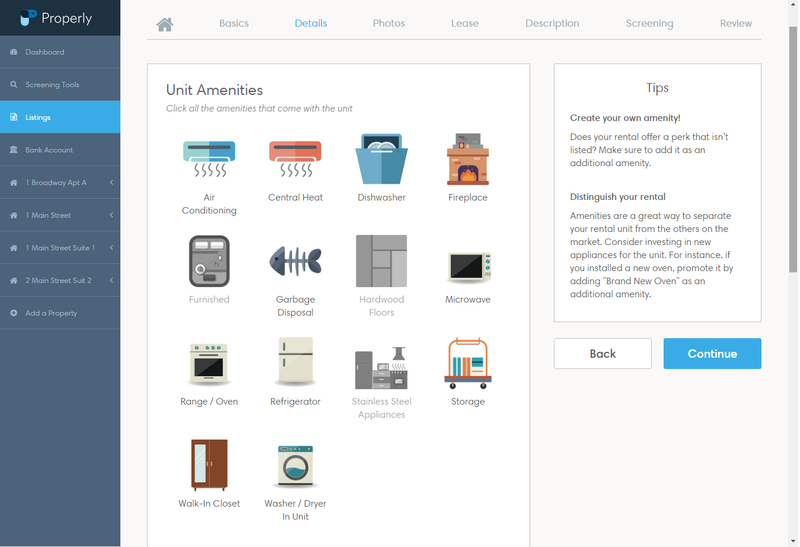 Startup Properly inventive app aimed to make renting simpler for everyone. Properly’s goals are becoming realized as a renting networking resource built to match quality renters with quality landlords. 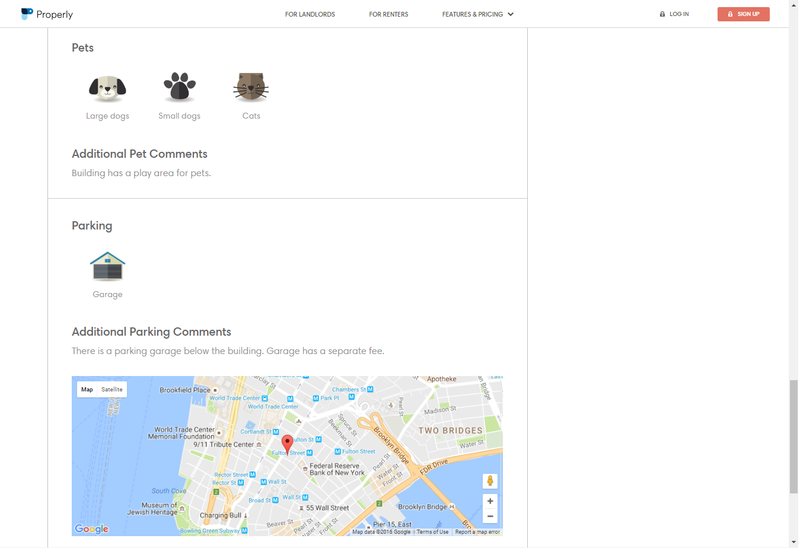 The website is a brilliant innovative startup created to provide free access to work as a personal property manager meant to help save money for everyone. In major cities such as New York, where rents can be particularly prohibitive, Properly lends a hand in keeping costs down. Landlords are invited to set up free accounts to receive rental applications online as needed to streamline the rental process. This eliminates the need for profit-depressing solutions such as hiring a property management company or purchasing costly software, not to mention never having to filter through piles of paper applications again. 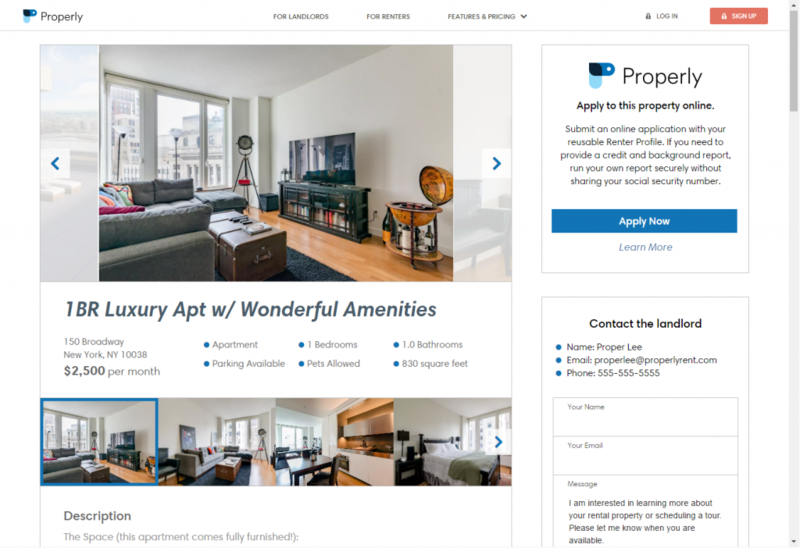 A wonderful tool is provided so landlords can even create their own unique rental listing website with the option to automatically post to other popular listing sites such as the Zillow network. 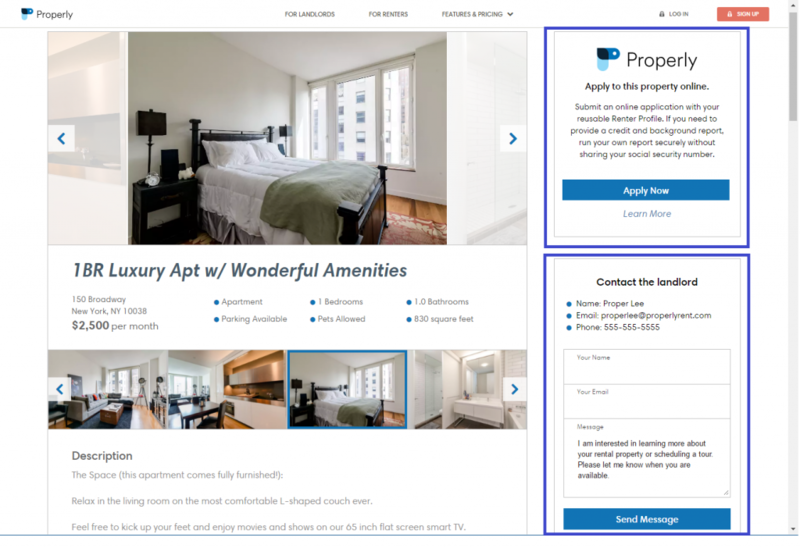 When a landlord adds a property, they receive a unique property specific application link to post for their listing on rental websites that applicants can then immediately utilize. The core features of the Properly website are all free. Once a landlord has an account and has created a rental listing they can begin the process of vetting applicants. The screening process is streamlined and ensured safe for those looking to rent. Protection to renters is key in that they apply for the landlord requested background check, credit report and eviction report all through the website that uses bank-level encryption. This leaves out the worry of handing over Social Security numbers and bank information to complete strangers. The only cost at Properly is for the screening process. Renters save money as they only need to pay once for a screening report and can use it to apply to multiple rental listings for 30 days. Once the property is rented, landlords can collect rent and expenses through the website. Properly offers ACH payment service for free. Tenants can schedule recurring payments for rent and make one-time payments at any time for bills, such as utilities. George Cen, a co-founder and CEO, speaks proudly of how his two partners and himself feel about their startup. As a renter having to move multiple times in New York City, George understands firsthand the frustrations of fees and paperwork just to apply to rent. 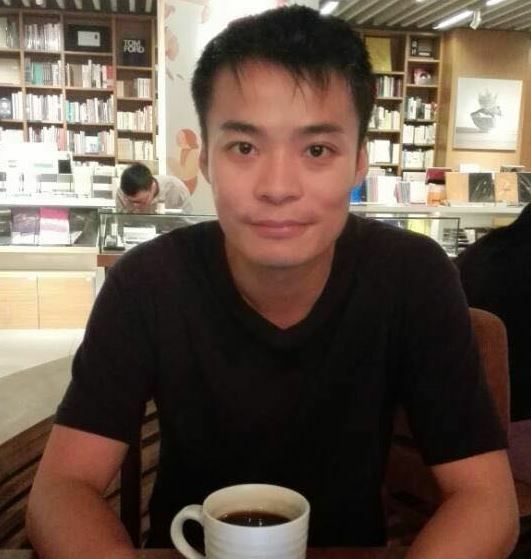 Properly’s CTO Jerry Bai’s credit was damaged by a landlord who mistakenly ran his credit score multiple times. Co-founder Michael Lee is a landlord in multiple states and has continuously dealt with the inflated costs and frustrations that come with seeking tenants while out-of-state. The young startup was started in June of 2015 with the first beta version making its debut in December of 2015. With 50 original customer users Properly tested its app for six months. Case studies were compiled to improve on and perfect the innovative website and application. With the understanding of unique renting situations, the three co-founders focused on key necessities for Properly. Before Properly, many landlords found it extremely difficult to manage an out of state rental because they felt they needed to be close to the property. Now landlords are using Properly for online long distance property management to collect rent, advertise their vacant rentals, receive applications, and screen tenants. Cofounder, Michael Lee, manages his own rentals in three different states through Properly. Properly discovered a renter who last year applied to eight different rentals, repeatedly having to run a new credit and background report for each application. When a landlord runs a report on a renter’s behalf, it registers as a hard inquiry on the renter’s credit, which can damage a credit score. This renter received several hard inquiries on her credit in a short-term period and her score went down by huge amount. With the tenant’s score still not fully recovered, the renter used Properly only having to run her report once to use it to apply to as many rentals as desired for 30 days. In addition, with the renter running their own credit check, the Properly screening process always ensures a soft inquiry which never impacts credit. Businesses such as corporations and Homeowners Associations can organize using Properly to streamline the rental process for all. Properly is currently partnered with a company that inspects rental units around college campuses and are now in discussions with housing communities and Fortune 500 companies. The innovative web based app seeks to work with communities who have a large customer base of landlords and want to offer the Properly technology to their customers. The visionary startup aims to continue growing to help simplify the rental process. Cen describes the founders dream for Properly. As users of their own product, Properly is constantly being nurtured by its founders to grow and expand. In understanding their own frustrations with rental processes, they have been able to use their own experiences to create a startup that solves rental complications in order to rent smarter and cheaper. The unique Properly app is goal oriented to bring renting into the technology advanced age of online convenience. All landlords, from time to time, will need to find tenants for their rental properties. This typically requires creating rental listings and advertising them across various outlets so that they reach the highest number of renters possible. Unfortunately, the existing process is frustrating. First, landlords have to worry about making the listing attractive so that it draws the attention of applicants. Second, they need to repetitively enter the same information to create the listing multiple times so that it appears across the major property websites such as Zillow, Craigslist, and others. 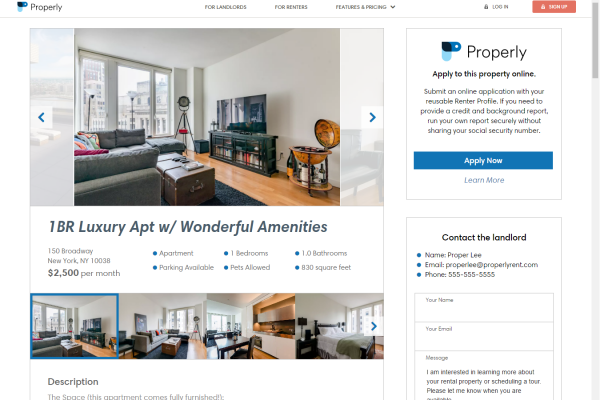 Properly has developed a new listing tool that helps landlords create rental listings and advertise it in a matter of minutes. Here’s how it works. 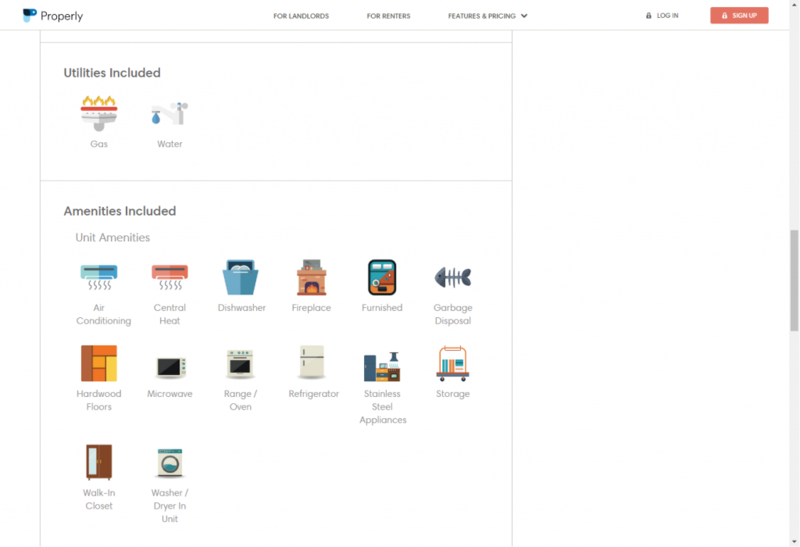 Basics – bedrooms, bathrooms, parking, etc. 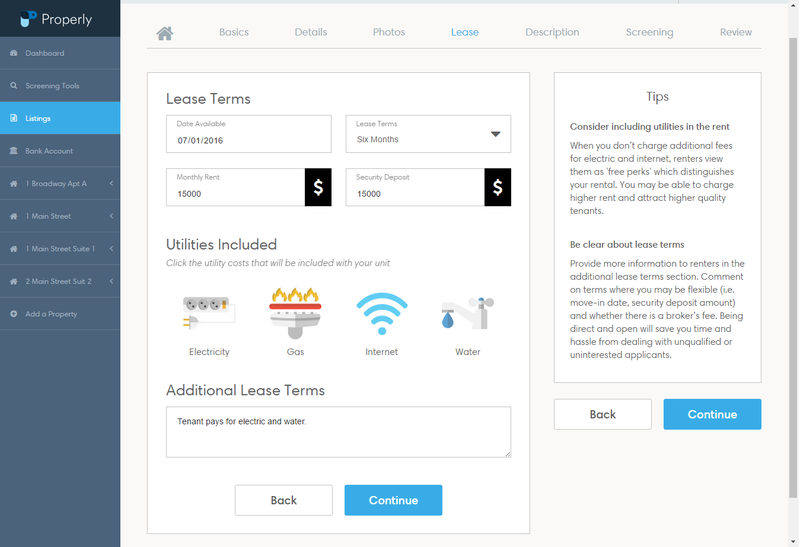 Lease Terms – rent, security deposit, date available, utilities included, etc. Description – attract applicants by describing what makes the rental stand out. Screening Report – option to require a credit, background, and eviction report from applicants. Landlords can preview the listing and when ready, activate it. Properly’s listings are designed to make your property stand out with photo slides, images for amenities, and lease terms that are easy for applicants to read and understand. Interested renters can submit applications directly from your listing page. There is no need to wait. Stop using paper applications that require hand-delivering, faxing, scanning, or mailing. 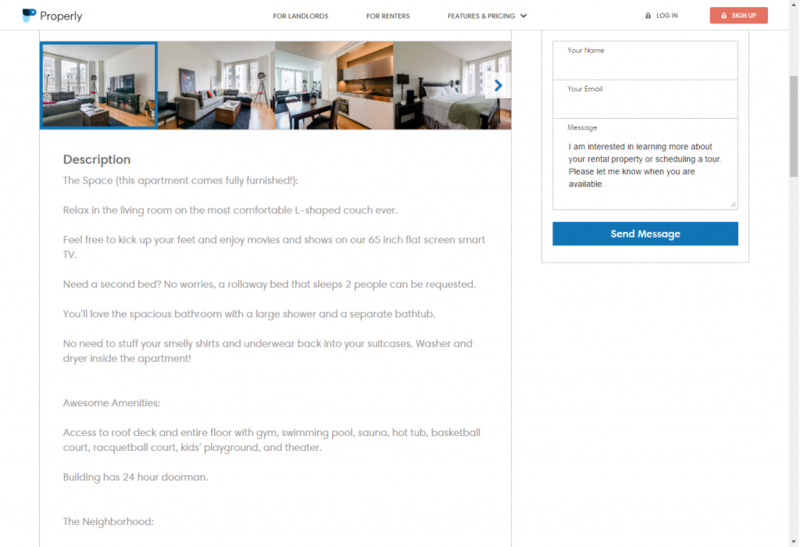 Renters can also send you messages which will be delivered to your email inbox. You will be notified instantly each time you receive an application or message. Landlords only have to create one listing on Properly and it will automatically post in real-time to the Zillow network which also includes HotPads and Trulia. We will continue to partner with additional listing services in the near future. Properly makes it easy for landlords to create a listing, share it across the web, receive applications, and screen tenants. 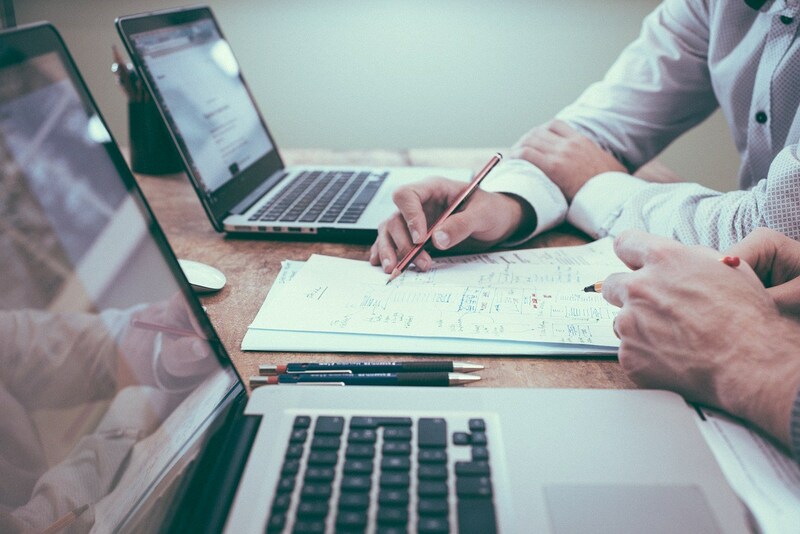 By removing the hassles inherent in the traditional manual and paper-based methods, landlords can save time, generate more leads, and focus on qualifying applicants. Our goal is for every landlord on Properly to find their ideal tenant! We’ve been listening to Properly’s users who have provided valuable feedback and suggestions for what they want as next features. We put on our product development hats and set off on creating new solutions that will continue to make our users’ lives easier. A pain-point we frequently heard from renters is that the landlord must provide an application link before renters can submit rental applications. This required the landlord to take the initiative. Our renters wanted the option to submit their applications even if a landlord is not a Properly user. We agreed fully and we’ve launched a new feature that allows renters to share rental applications to any landlord at any time. One of Properly’s users is a blogger who runs YETInvesting, a personal finance blog where she writes about her experiences with real estate investing, being a landlord, and other financial topics. She recently purchased 4 rental properties, completed a series of renovations, and used Properly to manage her application and screening processes. All 4 units were filled with quality tenants within a week!